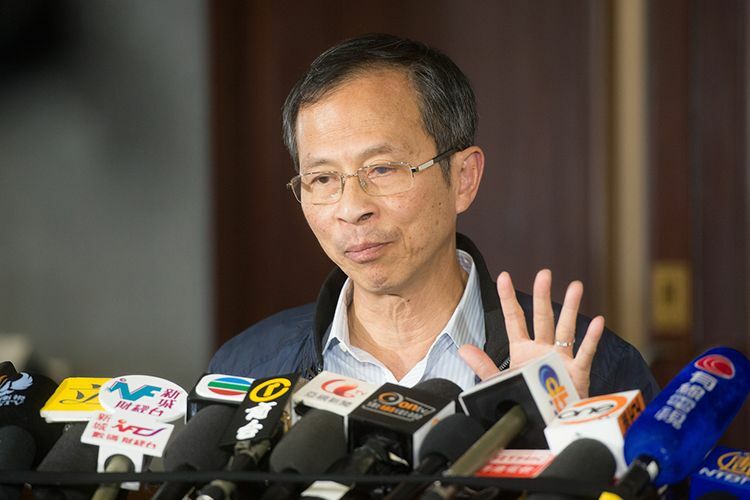 Legislative Council president Jasper Tsang Yok-sing has said he was told by a central government official that Beijing will not pick a winner for the Chief Executive election next year, in an interview with i-Cable news. 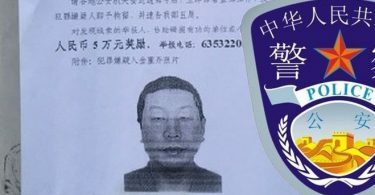 “Whether or not the next election will be conducted by universal suffrage, the central government will not point out ‘this is the person the central government wants’,” he quoted the official as saying. “As long as the candidates are acceptable to the central government – candidates A, B and C – they will be in fair competition,” he added. Tsang said that in the last election in 2012, former Chief Secretary Henry Tang Ying-yen was widely seen as a candidate hand picked by Beijing. He said that members of the 1,200-strong election committee were too late to realise it was not the case, and the election was ultimately won by Leung Chun-ying. Tsang cited the Beijing official as saying such a misunderstanding should not happen again. In June, Tsang shared a riddle in his AM730 newspaper column that he said gave some insights into the Chief Executive election scheduled to take place on March 26 next year. Many guessed the answer to be a phrase indicating that the Chief Executive should not be preordained by Beijing, though Tsang has not endorsed this theory. 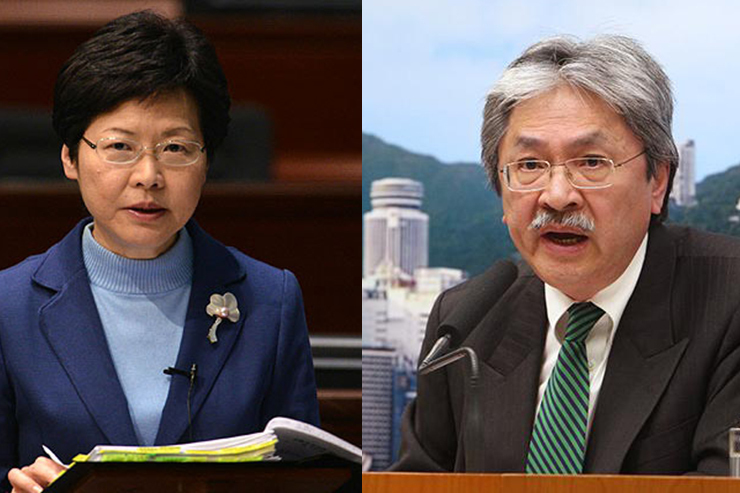 Incumbent Chief Secretary Carrie Lam Cheng Yuet-ngor and Financial Secretary John Tsang Chun-wah are tipped to run for the top job. Tsang said it would not be problematic if only one of them resigned to run against Leung, but it would not be ideal for both of them to run. 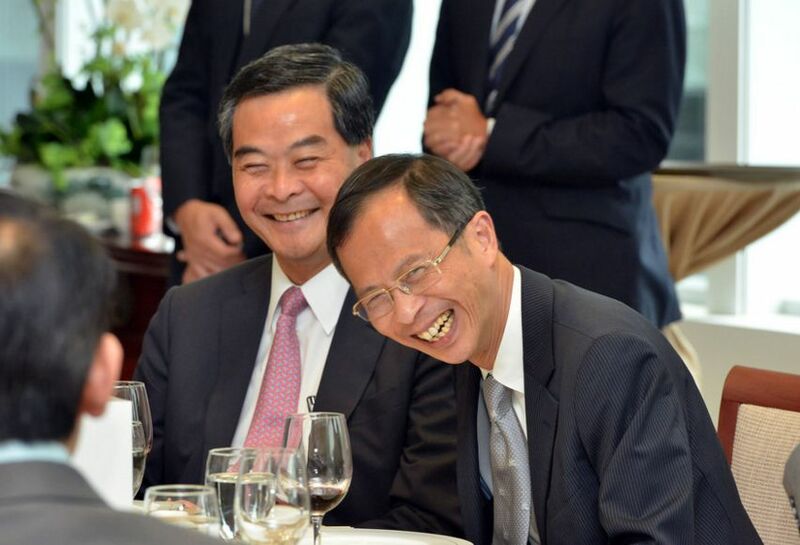 Tsang was also tipped to run, although he had said it was unlikely, as he will be 70 years old next year. 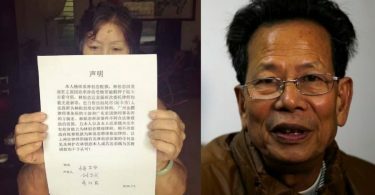 He told Ming Pao in an interview published on Monday that people should “wait and see.” He reiterated his answer to i-Cable. The same answer was given by Carrie Lam last week. As the government’s political reform package was voted down by lawmakers last year, the Chief Executive election next March will be conducted by a poll of a 1,200-member committee, which is controlled mostly by the pro-Beijing camp.